New Delhi, February 6: With the Supreme Court taking a note of the developments in the National Register of Citizens (NRC) report, Union Minister Rajnath Singh on Tuesday assured that the report will be completed within the stipulated time period. Government is committed to complete the NRC process within the stipulated time and ensure that neither any Indian national’s name is excluded nor any foreigner’s name included in the Final NRC. The NRC draft was initiated in order to enlist the names of the Indian Nationals in the state of Assam. Pledging to weed out the illegal migrants, the NRC report enrolled names of nationals with legal documentations and certification. 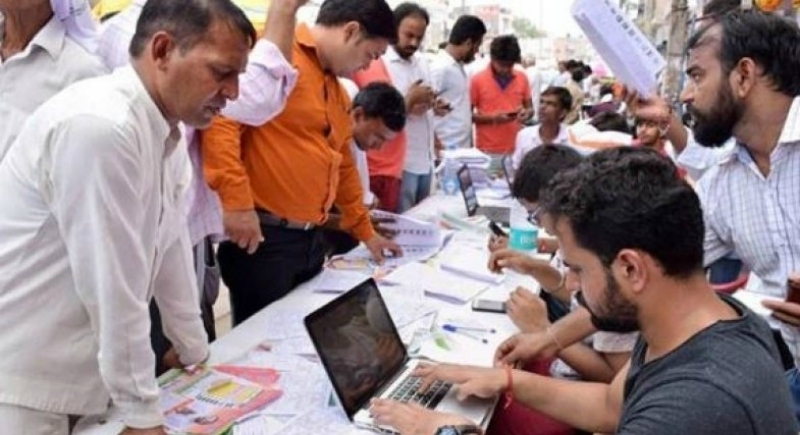 In a statement, Union Minister Rajnath Singh said that the Government led by the Prime Minister Narendra Modi has carried forward the NRC process. After signing of the Assam Accord in 1985, he said the Centre and the State Government of Assam have completed the NRC work that remained pending for more than thirty years and took it to the final stage. The Home Minister added that the complete NRC draft was published on July 30, 2018 and thereafter the Claims and Objections process has also been completed by December 31, 2018. Rajnath Singh said that the Home Ministry has made available necessary funds and resources to the State Government so that the NRC work is completed in a time bound and impartial manner. He added that Central Armed Forces in required numbers have been deployed in the State over the last one-and-a-half years to maintain law and order in view of the enormity of the NRC exercise. The first draft of the NRC was published on January 1, with 1.9 crore names. Earlier this month, officials said there were irregularities in the documents of 1.5 lakh people. The center has sent around 23,000 paramilitary troops to Assam and neighboring Meghalaya, Nagaland, Arunachal Pradesh and Manipur, to prevent any flare-up. Applications for inclusion into the National Register for Citizens started in May 2015 and documents were received from around 68 lakh families across Assam.